There are two approaches to stock picking. In the top-down approach, as the name suggests investor goes about identifying the broadest option first and drills down to the sectors and then companies which are at the bottom. So first an investor may choose the economy or the country to invest, which are expected to grow at a faster than others. Within the economy, the investor tries to identify the sectors, which are expected to witness higher growth than others. Once the investor has identified high growth sectors in the selected economies, then one identifies the companies within the sector. 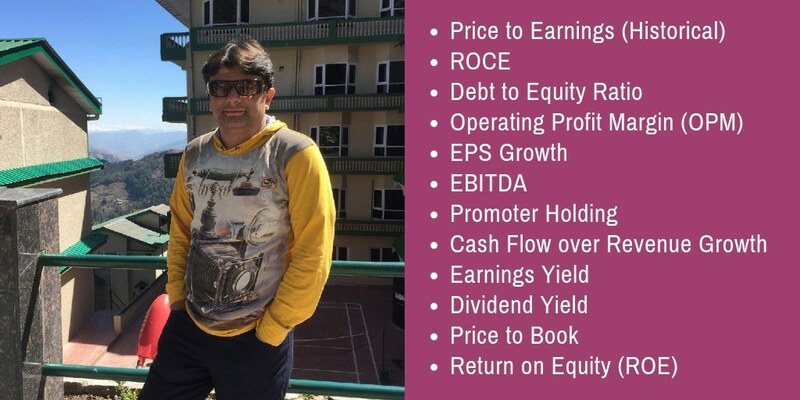 As a retail investor, you may not have an option to choose the economy but still one can consider the top-down approach of from sector to a company. As an example, if you expect the Pharma sector to outperform in 2019 and want to invest in a Pharma company, that is a top-down approach to investing. You started with the broad view at the top and narrowed it down to the company you want to be investing in. With the bottom-up approach, investors identify the companies that are expected to grow their business without restricting the stock-picking search to a particular sector, industry or even economy (country). The investor uses stock selection criteria to search for the best stocks irrespective of the country, industry or sector are considered for investing. The faster-growing companies across, which may be available at a discount to its intrinsic value and expects to benefit from the future growth of the business of the company irrespective of the sector or growth in the economy. There is no general rule that only one of the approach to investing works. There are many FII that have overweight or underweight on India based on their top-down approach of investing and their view about India. There are many mutual fund houses that pick the stocks based on the financial performance of the company. Both the way to investing works, the question is which is the one you prefer investing. 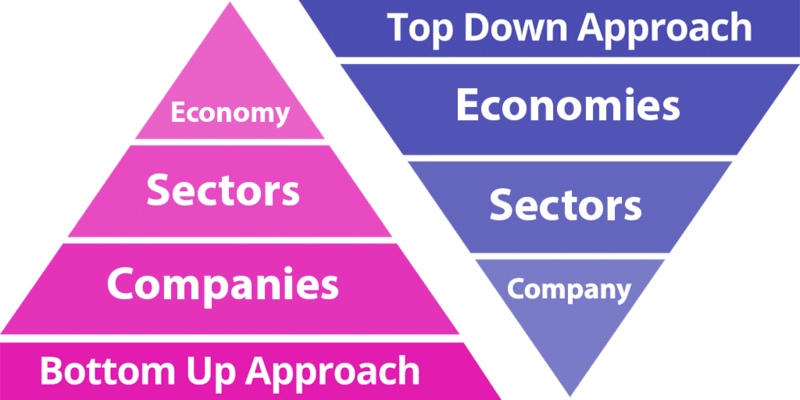 I like the bottom-up approach more compared to top-down approach because I am not too concerned about the sector or the economy as a whole. I prefer to invest in a business with a USP which is expected to grow in at a very consistent pace for a very long run. It doesn’t mean I don’t use the top-down approach at all. Investing in Pharma sector in 2018 was a top-down approach to investing. Choose the one that best suits your way of picking the right stock to invest at the right price and for the right time. You are here: Home / Financial Glossary / What is Top Down Approach and Bottom Up Approach to Investing?